The Pasta Sisters story begins in Padova, a city in the Veneto region of northern Italy. Along with brother Carlo and older sisters Luisa and Patrizia (hence the restaurant's name), Executive Chef Paola Da Re spent considerable time helping their mother Maria Giovanna in the kitchen. Mom's recipes were captured in two diaries, and they formed the basis for many of the dishes at Pasta Sisters. Da Re, however, sort of stumbled into the restaurant business by accident. She moved to the US at the tail end of 2012 (sister Luisa was already here) to help care for the new child of her son Francesco Sinatra, who initially relocated to California to pursue a journalistic career. 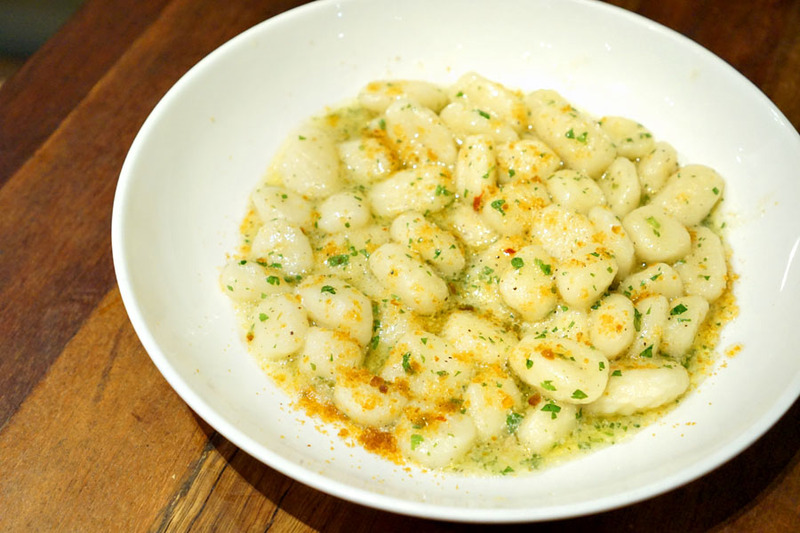 Now in Los Angeles, Da Re began private cheffing, then started making gnocchi for a restaurant in West LA. 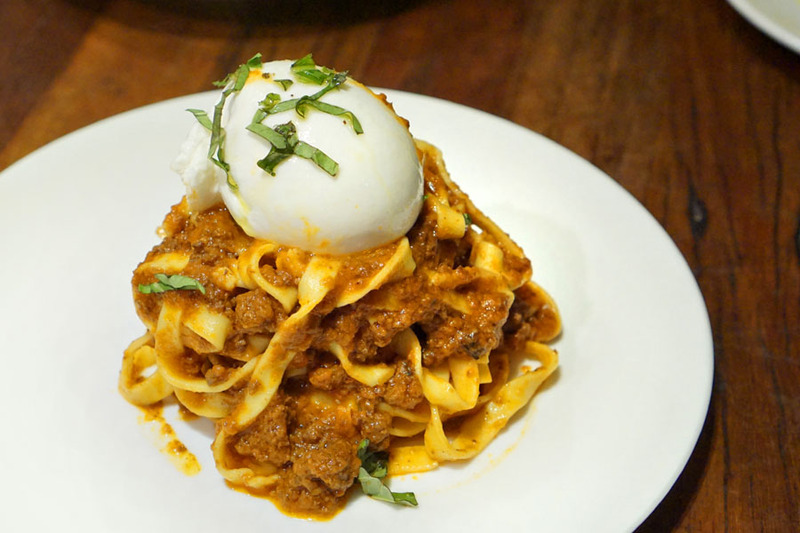 In 2013, on his way back from work one night (he boasts experience at Angelini Osteria, Madeo, and Factory Kitchen), Francesco happened upon a vacant strip mall storefront at 3343 W Pico in his Arlington Heights/Country Club Park neighborhood, and had the idea to start a pasta-focused eatery at the location. The idea for Pasta Sisters was thus born, and the casual, take-out focused deli ended up opening in September 2015, with Francesco as CEO and Da Re's daughter Giorgia Sinatra as Creative Director. The Chef's sister Luisa also helped out, especially with desserts, and her other daughter Francesca assisted when necessary. Things were slow at first, but business boomed once the food media got a hold of the place. A second Pasta Sisters outpost was desperately needed, and in May 2017, it was announced that they'd be taking over the former Bucato building in the Helms Bakery complex (the Union team was supposed to occupy the space initially). After a relatively quick build-out, Pasta Sisters 2.0 ended up debuting on March 4th, 2018. The old Bucato has been given a makeover by local firm Legaspi Courts Design and now sports a homier aesthetic. The restaurant spans 3,400ft2, and there's seating for around 90 between the indoor space and two patios. Menu-wise, you get the restaurant's signature mix-n-match pastas and sauces, along with a number of other non-pasta dishes. Alcohol is a new addition to this location, and your choices are limited to a small, all-Italian wine list and a couple beers. Click for larger versions. 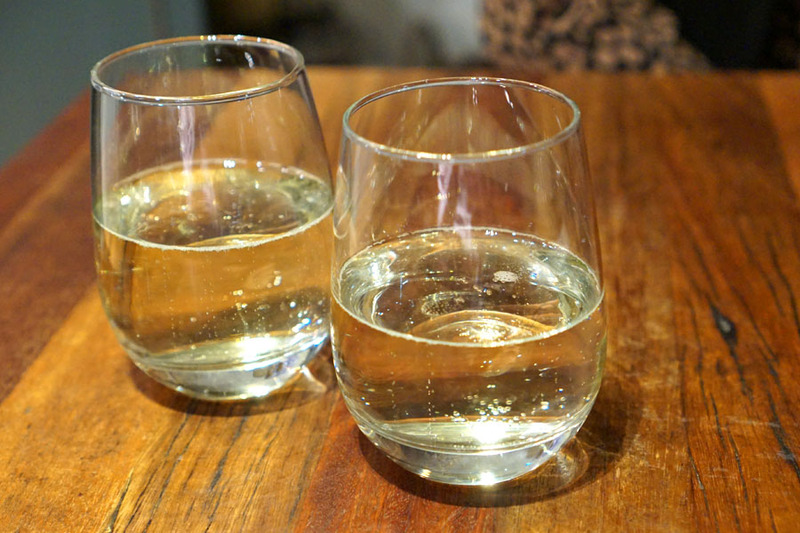 To pair with the pasta, we opted for something sparkling to start, the Prosecco, Acinum, Veneto, Italy, nv [$8.50]. 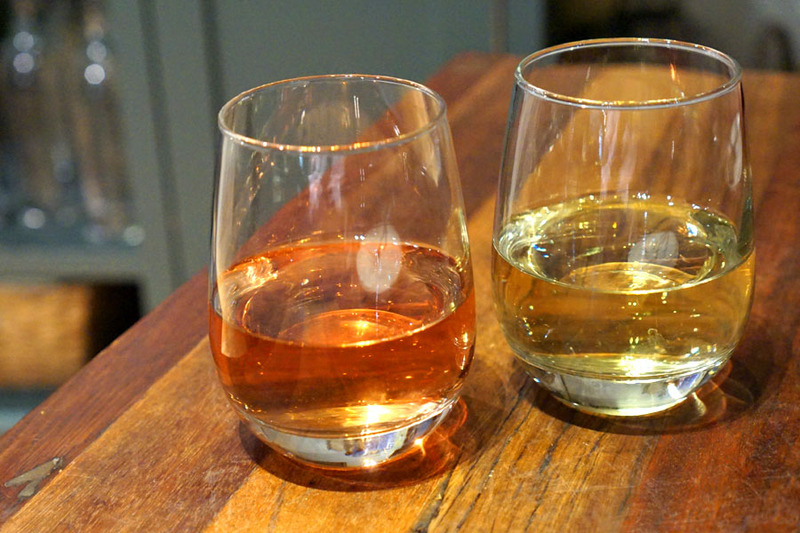 The wine showed off an appealing nose filled with green apple, lemon, and toast. Its palate was on the bright, crisp, acidic side, with a pear-like fruitiness to it, some minerality, and an apparent boozy backbone. 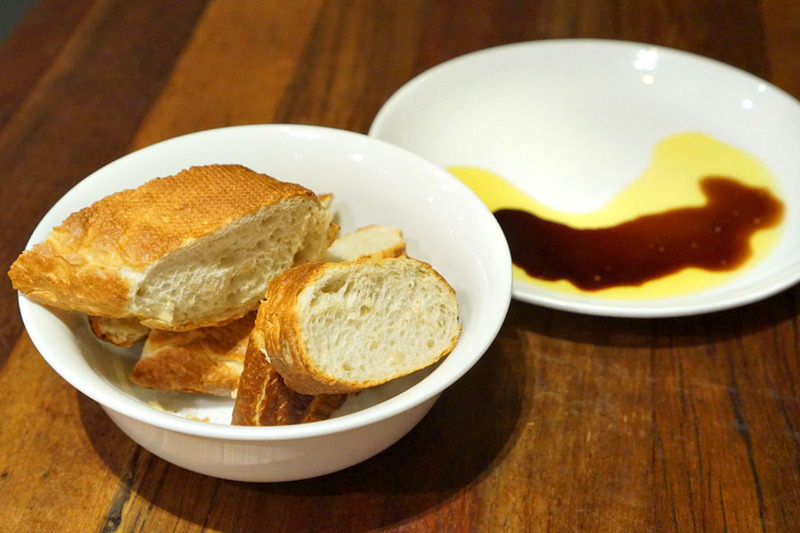 The bread arrived with a proper crustiness, and was surprisingly addicting. The Chef is known for her gnocchi, and the dumplings didn't disappoint, coming out supple, light, and about as airy as you could reasonably expect, yet still robust. They matched swimmingly with the combination of herbs, garlic, and olive oil here, but the star was that bottarga, since it had a wonderful brine to it that really lifted the dish. In fact, I wish there were more of it sprinkled on the plate. The bolognese made for a cozy, familiar flavor profile, one blending rich, savory bits of meat with the tartness of tomato. It just made sense with its paired pasta, and I certainly appreciated the cool, lush contrast provided by the optional burrata. Great accent from the basil, too. Spaghetti was decidedly firm, and in fact could be a bit too much for some diners. 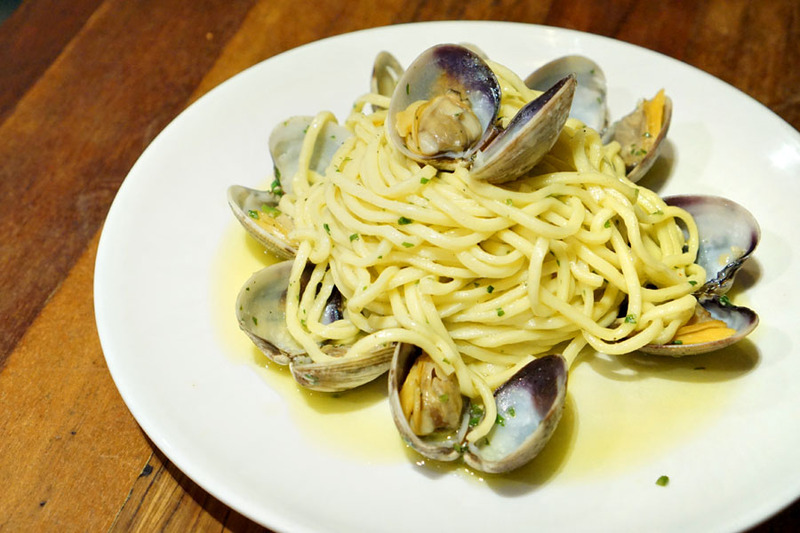 It wasn't a problem for me though, as the pasta served as a fitting foil to the salinity of those well-textured clams, in concert with plenty of herb, garlic, and olive oil of course. 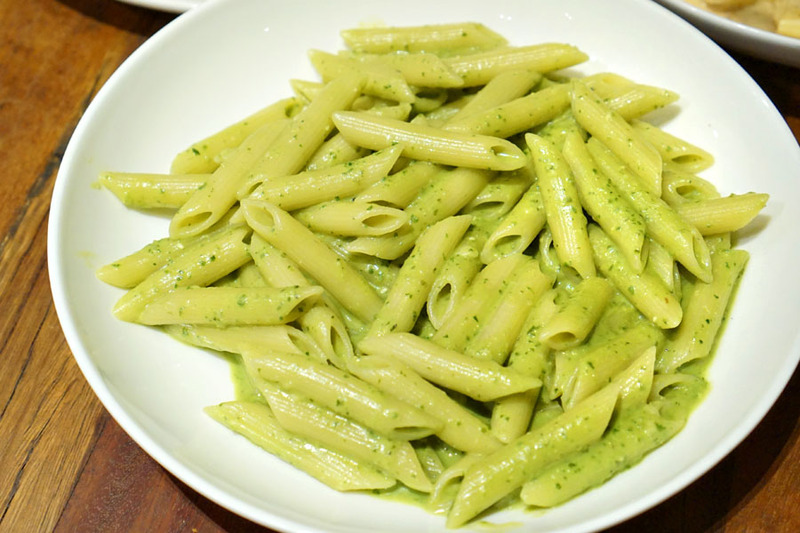 Penne was on the softer, stickier side, and worked as a suitable vessel for the bright, herbaceous, pleasantly nutty flavors of pesto. Next to drink was the Organic Rosato - Terre Siciliane, Purato, Sicilia, Italy, 2017 [$7.25], a quaffable, refreshing wine brimming with lovely strawberry notes. It was accompanied by a glass of the Viognier, Feudo di Santa Tresa, Sicilia, Italy, 2017 [$8.95]. This one I found somewhat funky on the nose, with some citrus and stone fruit mixed in, while its palate showcased more of that fruit, along with a definite vegetal, grassy character. 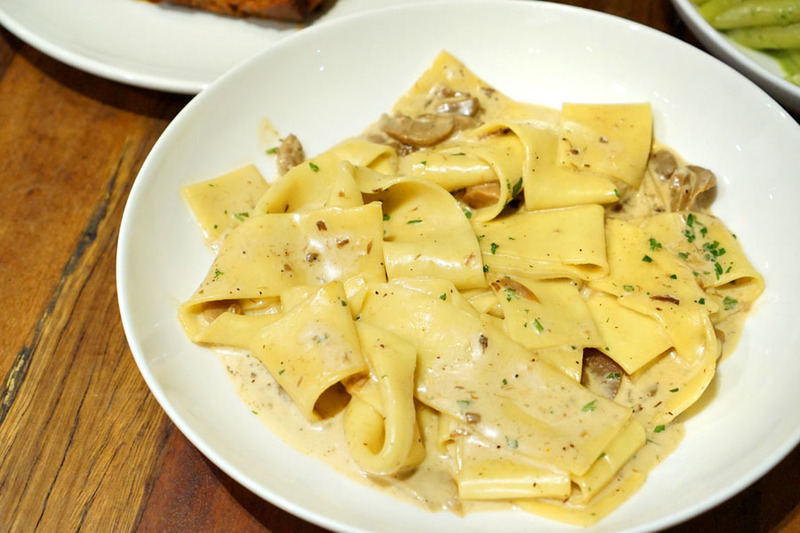 Wide ribbons of pappardelle were substantial and satisfying to the bite, with a marked "eggy" quality to them. They served as an apt stage for that creamy, woodsy mushroom sauce, perked up by bright bits of parsley. 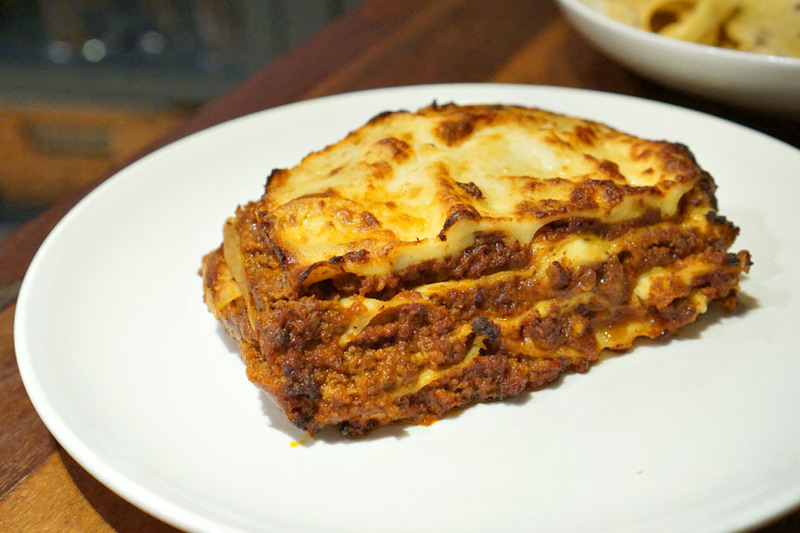 The lasagna ate as homey and hearty as it looked, a rather hefty combination of beefy and tart tomato flavors, tied together by the richness of cheese and béchamel. 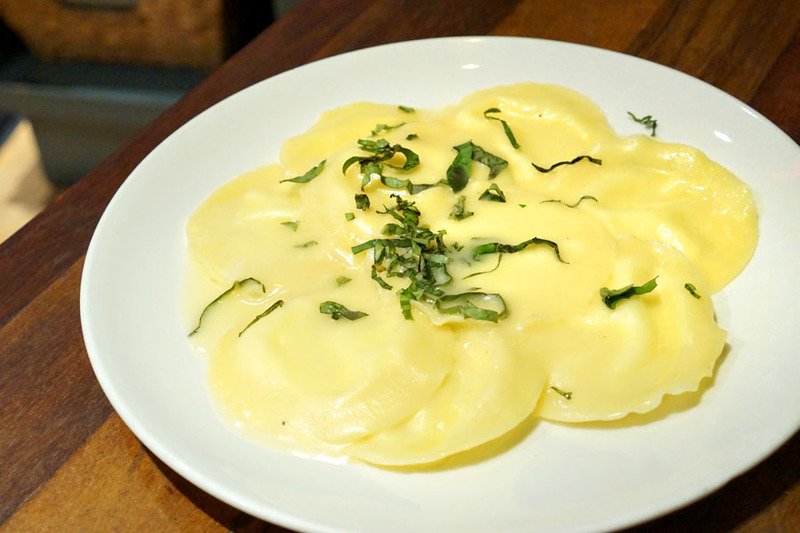 A special dish for the week, ravioli were loaded with bountiful amounts of salt, butter, and cheese, making for a surprisingly decadent eating experience, one punctuated by zesty notes of basil. Time for dessert. 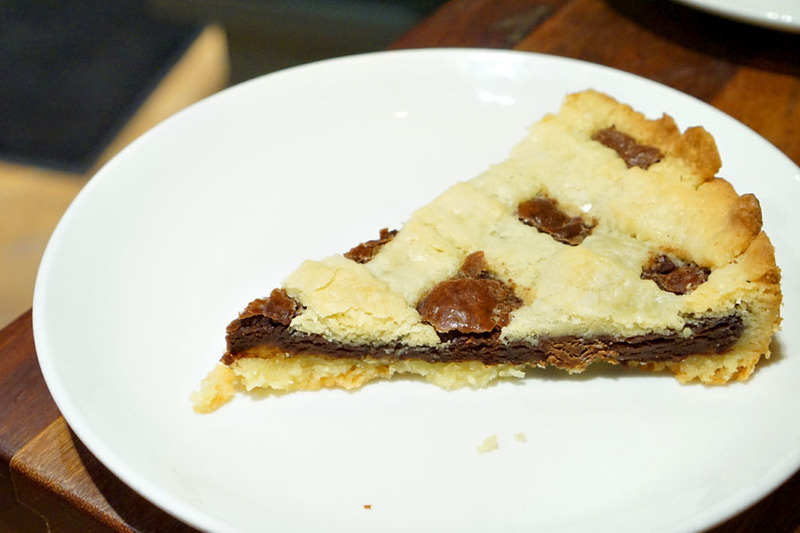 Our Nutella pie conveyed a balance of salty and sweet flavors, though I didn't really get much hazelnut, unfortunately. 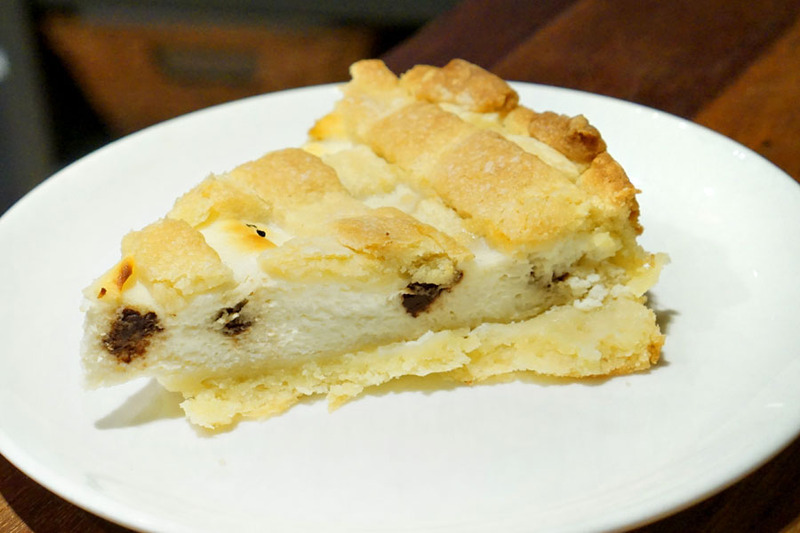 I preferred the ricotta pie, which I found light and subtly sweet, with a savory edge. This was basically an Italian version of cheesecake. Pasta Sisters claims to serve a more authentic, more homemade style of pasta, and indeed, the plates they're putting out are probably not what you'll find at the majority of Italian restaurants here in the States. I'd say that the preparations are on the unfussy, unadorned side, and have a certain modesty to them. That straightforwardness, though, is what makes this place stand out, if that's something you're ok with. Someone else offers to foot the bill. Kevin: Let's go to Melisse! It's Kevin's turn to foot the bill. Kevin: I feel like spaghetti!